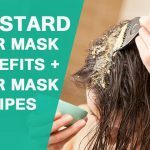 Castor oil hair mask is a wonderful remedy to cope hair related problems. It not only makes your hair longer but also thicker. It can be applied alone as well as in combination with other effective ingredients. Let’s learn its benefits and procedure of use. Gently warm the oil for 10-12 seconds. Apply warm oil to the roots and strands of your hair and gently massage with your fingertips. Leave it on for half an hour, then wash your hair thoroughly with lukewarm water and a mild shampoo. It penetrates deep into the pores and cleanses dirt & other impurities in the scalp. It also locks moisture in your hair and prevents damage & dryness. Regular massage of your scalp with this oil makes hair thick, long, smooth and shiny. Repetitions: 2-3 times a week. Best time to apply: Before a bath. Tips: You can also leave it on overnight and wash it next morning. Mix castor oil and coconut oil in a small bowl. Apply warm mix to the roots and strands of your hair and gently massage your scalp with your fingertips. Put on a shower cap after massaging. Wait for two hours, then wash your hair thoroughly with lukewarm water and a mild shampoo. How it works: The antibacterial properties of coconut oil prevent scalp infections while castor oil promotes hair growth. This mix is one of the best treatments to curb hair loss. 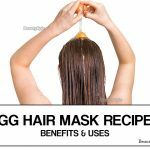 Whisk egg, honey, and castor oil. Add water if required. Apply this paste to the roots and strands of your hair. Put on a shower cap after applying this paste. Wait for ½-1 hour, then wash your hair thoroughly with lukewarm water and a mild shampoo. How it works: This mix contains proteins and vitamins which promote hair growth. It prevents hair loss and reduces split ends. It also makes your hair softer, shinier and healthier. Mix the three ingredients in a small bowl. Apply this mix to the roots and strands of your hair and gently massage your scalp with your fingertips. How it works: This mix helps protect and strengthen your hair, repairs the damaged scalp and promotes hair growth. Mix glycerin and castor oil in a small bowl. How it works: It relieves an itchy scalp, boosts hair growth, makes hair shiny and hydrated. Tips: Avoid using this mix if you have oily hair as glycerin can make your hair more oily. Mix the two oils in a small bowl. Apply this oil to the roots and strands of your hair and gently massage your scalp with your fingertips. Cover your hair and scalp with a hot wet towel. Wait for 1½-2 hours, then wash your hair thoroughly with lukewarm water and a mild shampoo. How it works: This mix prevents hair loss, nourishes and thickens your hair, and promotes hair growth. Mix castor oil and onion juice in a small bowl. 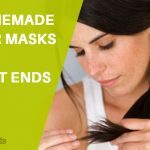 How it works: This mask encourages faster hair growth, prevents hair fall and thickens your hair. Wait for 1-2 hours, then wash your hair thoroughly with lukewarm water and a mild shampoo. How it works: It nourishes & moisturizes your hair & scalp and prevents hair loss & dandruff. It also strengthens & thickens your hair and boosts hair growth. 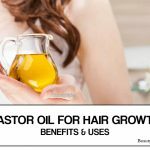 It is quite difficult to remove castor oil from your hair due to its high consistency. So, wash it off thoroughly by shampooing twice or thrice. 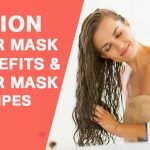 Besides applying castor oil hair mask, take a healthy diet and drink plenty of water to get its full benefit.